Tiramisù is one of my absolute favorite desserts. I actually make it quite often and meant to post the recipe a long time ago but I was never quite satisfied with my pictures. 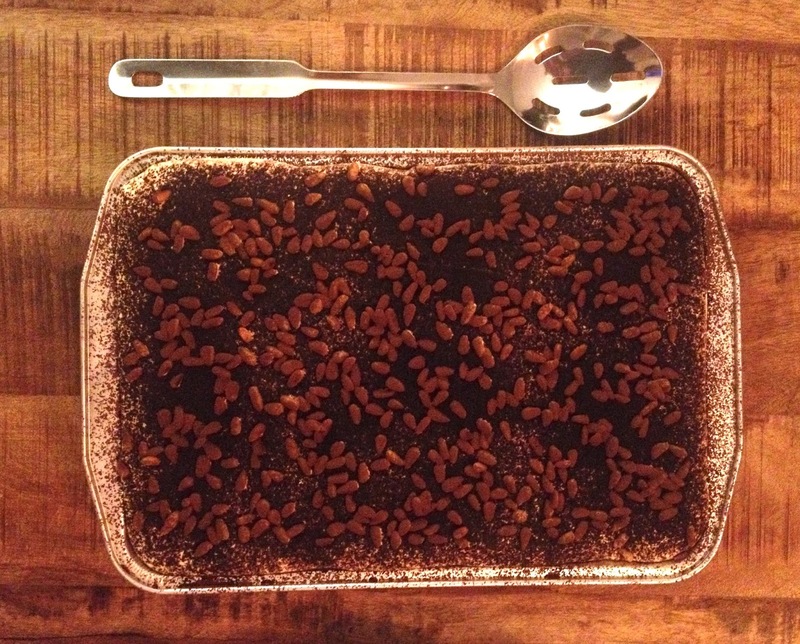 This week I made a big Tiramisù for Thanksgiving so I thought it was a good opportunity. 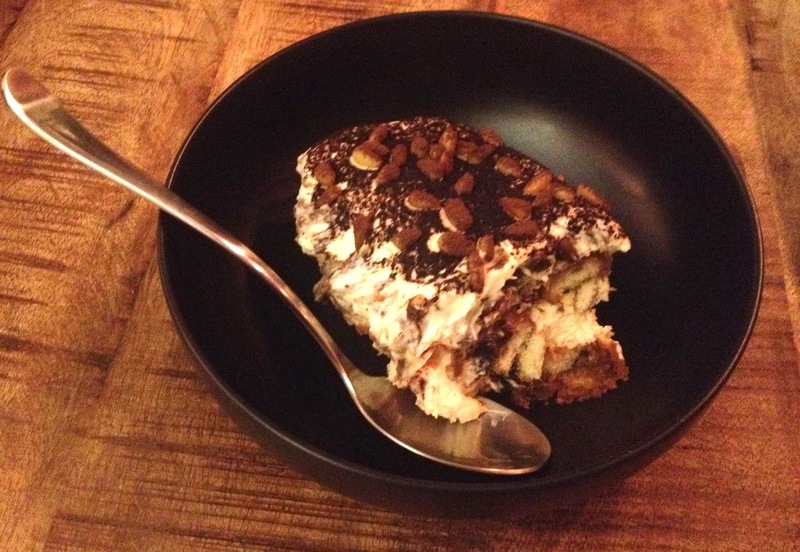 Plus Tiramisù makes for a great Holiday dessert to share with friends and family. 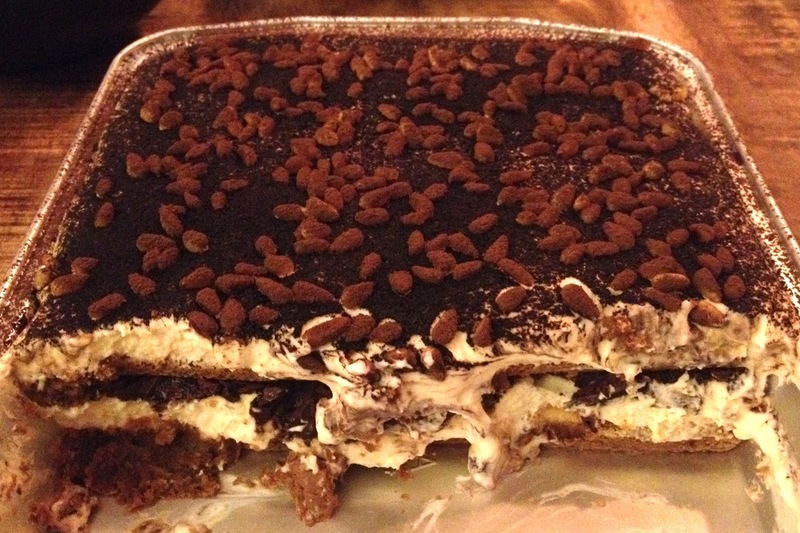 Tiramisù is composed of a mascarpone cream (mascarpone, fresh eggs, and sugar) layered with coffee-dipped ladyfingers and chocolate. You can make a number of variations around this recipe, including skipping egg whites if you want your cream heavier and more mascarpone heavy, swapping ladyfingers for another kind of biscuit of your choice (ginger snaps, petit beurre, digestive) or skipping them altogether, and you can also sprinkle the cream with the kind of chocolate you like and also include nuts if you like. In a clean bowl beat up the eggwhites until stiff and towards the end add a pinch of sugar to finish off beating. It is important that there is no fat or any eggyolk in the eggwhites. In another bowl beat up sugar and eggyolks until light and fluffy. Add the mascarpone and beat until incorporated. Carefully incorporate the eggwhites into the mascarpone cream: the obtained cream should be homogenous and light. Dip the ladyfingers one after the other and place them tighly together in a dish. The ladyfingers have to be soaked with coffee and place them with the sugar crust facing down. Cover the ladyfingers with have of the mascarpone cream. Sprinkle with powder cocoa and chopped chocolate. Repeat the above steps for the second layer. Here I replaced the chopped chocolate with roasted pine nuts for the second layer. Refrigerate for at least 3 hours (overnight is better) before serving. I recommend eating it within 2 days.